Zero Contamination: Our RT Cable Plus contains motor, I/O and shielded encoder conductors in a single PVC jacketed cable. The cable is highly flexible, durbale, resistant to coolant contamination and protected by strain relief on both ends (a steel-braided version is also available on request). Risk of Contamination: Traditional sealtight cable is susceptible to cracking and splitting when exposed to some coolants and continuous flexing. Over time, cracking and splitting will lead to higher failure rates. 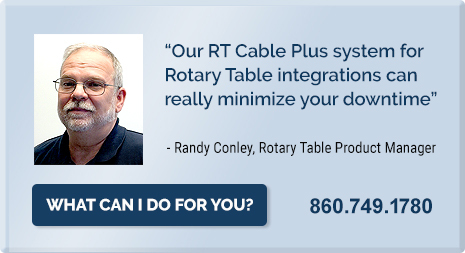 Our RT Cable Plus system is hard-wired to the rotary table which eliminates a potential contamination point. 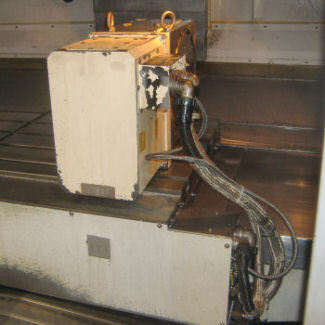 A single environmental quick disconnect connector is used to interface the table to the machine. This allows the table to be connected/disconnected with one quick turn. 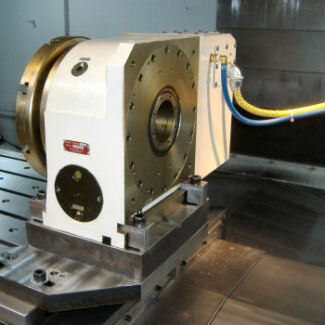 Their sealtight connections on the back of the rotary table create additional potential contamination points. These threaded connectors also make connecting and disconnecting the table a time-consuming and difficult process. One cable, rather than two means fewer connection points, less wear and lower contamination risk. Two cables can create a tangled mess, which can cause premature wear. Two cables require four connections and four-times the chance for contamination. 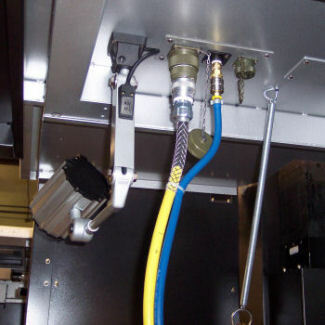 The RT Cable Plus connectors are located away from chips and coolant and we add a spring management system to help minimize cable wear. 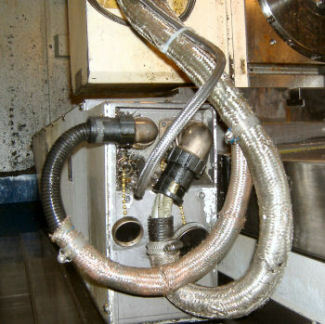 Locating the connection points close to coolant and chips creates a greater chance for failure, as traditional sealtight will collect coolant. Furthermore, the cables could easily be pinched during machine movement or part loading.